We’re committed to food that’s good for our bodies and the earth. For us, that also means putting a focus on Native American products. Whenever possible, we feature our tribal community’s organic farm Wozupi Tribal Gardens. They provide fruit, vegetables and herbs: in the produce section and salad bar, at the deli, and in our 100% organic, non-GMO juices and smoothies at the reFresh Bar. Find Wozupi throughout the store. Race to the refrigerated section for fly-off-the-shelf organic eggs (medium and large brown). Shop local honey, pure maple syrup, and handmade beeswax candles. The Shakopee Mdewakanton Sioux Community produces everything here in the Shakopee/Prior Lake area. You can count on our partner-vendors for local, natural and organic Native American foods and products. Sip on Native American-produced organic coffee. Pick up items for smudging (even abalone shells). Or explore traditional Indigenous foods. It’s all at Mazopiya. 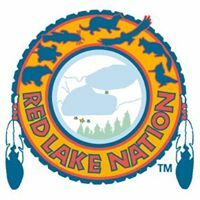 Premium freshwater fish products from the pristine lakes of northern Minnesota, wild-caught by tribal fisherman of the Red Lake Nation (Anishinaabe/Ojibwe). Wild rice grown and harvested on the lands of the Red Lake Nation (Anishinaabe/Ojibwe) in northern Minnesota. Gourmet-quality natural foods made and harvested on treaty lands of the White Earth Anishinaabe (Ojibwe) in northern Minnesota. Beaded pieces honoring our spiritual connection with nature, music and the arts, handmade by this northern Minnesota studio. 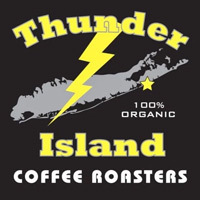 USDA-certified organic coffee roasters on the Shinnecock Indian Reservation in Southampton, New York. USDA-certified organic fruits, vegetables, herbs and eggs; local honey, pure maple syrup, and handmade beeswax candles. Produced by the Shakopee Mdewakanton Sioux Community, located southwest of Minneapolis/St. Paul.